Ign Alex, server 525 Nekhbet, following screenshots show same lvl history recharge bonus but different rewards for completing same tasks.Any reason for this ? yeah true. where is bronze reward and silver reward? If I\'m now silver, I should have had bronze rewards right? 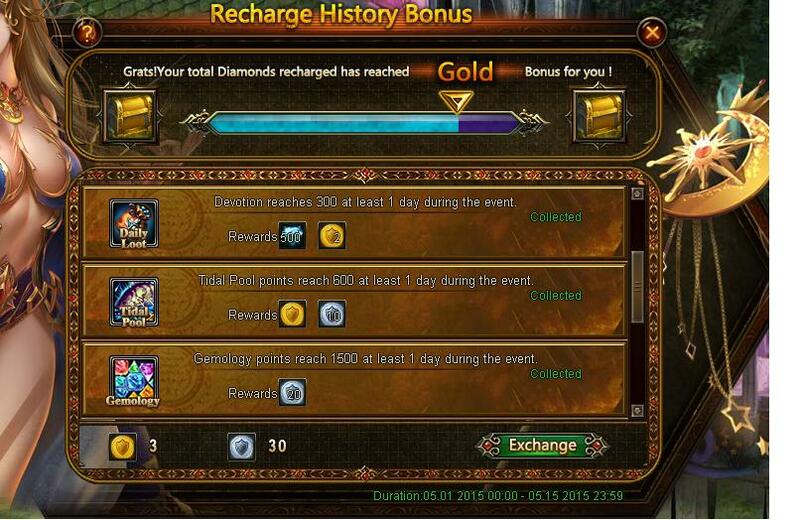 so.. any answer as to why same level history recharge bonuses have different rewards for completing same tasks? depends on when they got the gold rank. it says that if you uprank the account that you will get the benafits the following month. 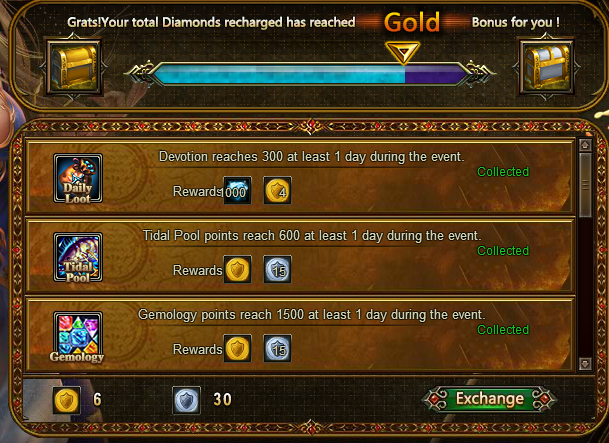 42k diamonds till next level, the level was reached before event,so no that`s not it. If you check closely the right chests in the picture are both different. One is gold, the other is silver-with-gold. I assume that means there is a different level in recharge between both screenshots after all. 2019-4-22 02:55 GMT+8 , Processed in 0.071060 second(s), 48 queries .